Lens Description: The Sony 16-35mm f/2.8 ZA SSM II Vario-Sonnar T* Lens is a fast and versatile wide-angle zoom that is designed for Sony and Minolta full-frame or APS-C A-Mount cameras. 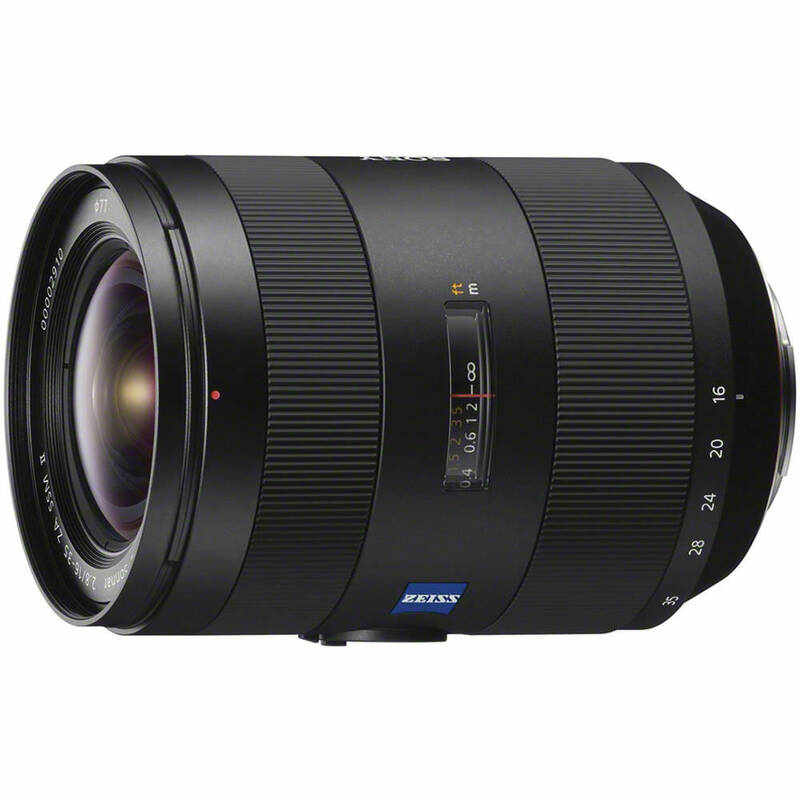 Users of compatible 35mm full-frame cameras can obtain a 107 to 63° angle of view, making this lens suitable for fitting subjects ranging from landscapes to large groups into your frame. 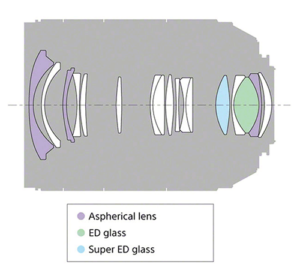 On a Sony or Minolta APS-C A-Mount camera, this lens's angle of view becomes equivalent to that of a 24-52.5mm lens on a full-frame 35mm film camera or DSLR. Wide-angle photography on an APS-C A-Mount camera is supported, as well as the ability to replicate the narrower angle of view provided when a 50mm lens is placed on a full-frame 35mm film camera or DSLR which is a useful combination for street and travel photography. 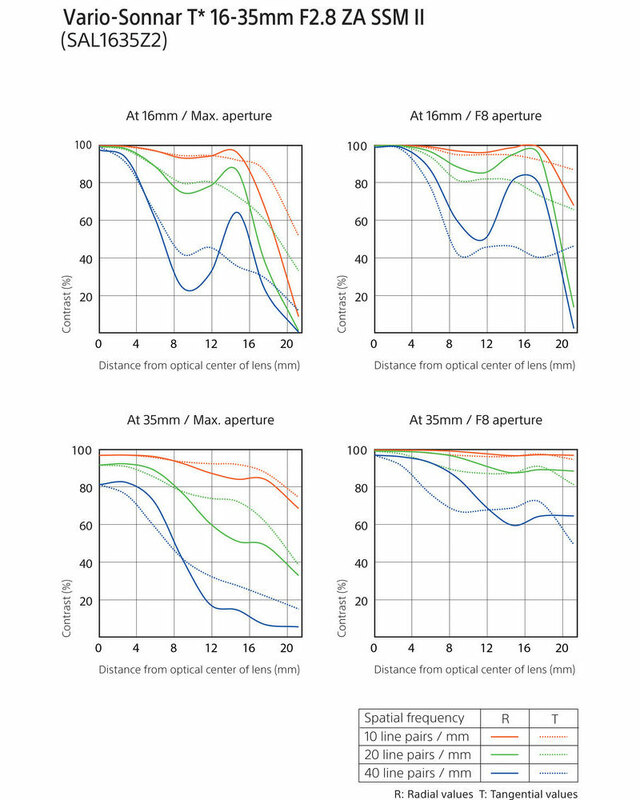 An extra-low dispersion, a super extra-low dispersion, and three aspherical elements are incorporated within the lens to maintain low distortion and corner sharpness while minimizing chromatic aberrations. 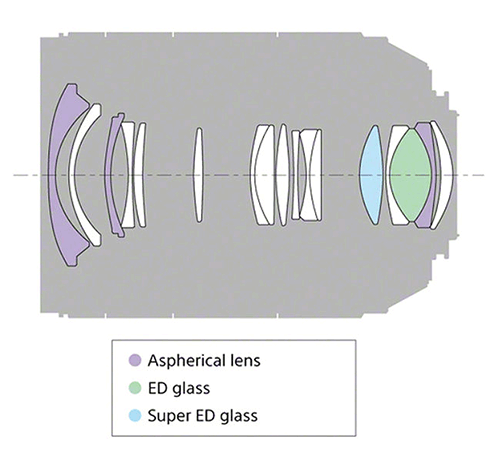 Carl Zeiss T* (T-Star) lens coatings provide high contrast and uniform image resolution while helping to eliminate lens flare, internal reflection, and light scattering. 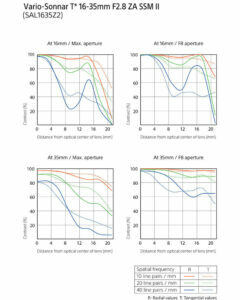 Silent Super Sonic Wave autofocus motor and aperture mechanisms contribute to fast lens operation and the suppression of unwanted noise when capturing still photos as well as video clips.